Are you looking to buy in bulk at La Fromagerie Hamel? On this page, you will find the information you will need to open an account with us. To open an account, download the PDF format form, fill out and sign the form, then fax or email it to the fromagerie Hamel, c/o Albena Encheva. With that info, she will have all that is required to set up and open you account. The sooner you send the form in, the sooner you can order! 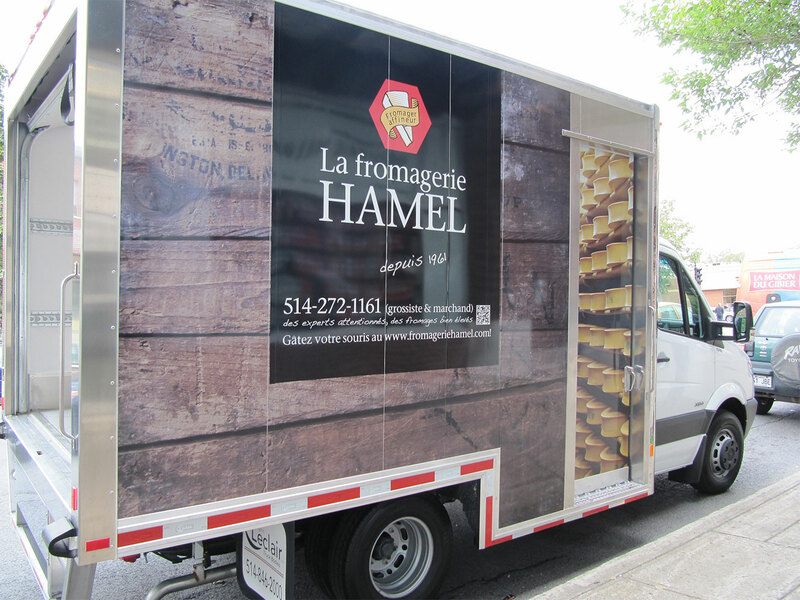 If you wish to order, contact Sylvain Paul by phone (514-272-1161 ext 231), fax (514-272-1183) or email (sylvain@fromageriehamel.com). For orders over $ 250, to be delivered in the central metropolitan area, delivery is free. If your order is less than this amount, delivery fees will apply. For deliveries beyond the central metropolitan area, delivery fees are also applicable. Since you will have to assume these fees, you will have the opportunity to choose the carrier of your choice. All orders must be paid upon receipt of the goods. All delivered orders must be pre-paid or paid for in cash or credit card upon receipt of the goods. 3. Credit card (Visa or MasterCard), on site or not. Any changes to the terms or the methods of payment will be made only after a review of your application and through a mutual agreement with the responsibles of La Fromagerie Hamel.